Atlas Copco LT6005 Jumping Jack/Rammer 11 inch available for rent in Rochester NY, Ithaca NY and Upstate NY from the Duke Company. The LT6005’s slimmer design makes you faster and more accurate when working close to walls, posts and in narrow trenches. Easy steering helps as well. 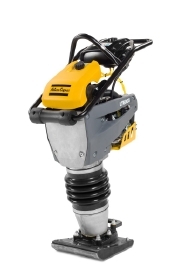 Reliability, speed, ease of use — look no further than Atlas Copco Jumping Jack/Tamper/Rammer.